From gamescom 2015 in Cologne, Germany, Trion Worlds revealed major content updates for MMOs RIFT, ArcheAge, Trove and Defiance. Boasting some of the titles’ most significant updates in history, new content ranges from a brand-new soul in RIFT to never-before-seen mechanics and progression systems in ArcheAge Heroes Awaken. RIFT – RIFT’s 3.4 update will, for the first time since the game’s launch, introduce a brand-new calling, the Primalist. This will launch with six souls and bring with it a slew of new content including the all-new Planetouched Wilds expedition zone, Lord Arak Raid, Rhazade Canyons dungeon and much more. ArcheAge – ArcheAge‘s biggest update ever, ArcheAge Heroes Awaken, will feature significant updates and add fresh content to the game. The brand-new Hero System, updates to the Guild Progression System, Housing upgrades and a reborn Diamond Shore offer just a glimpse at the new content in ArcheAge Heroes Awaken. 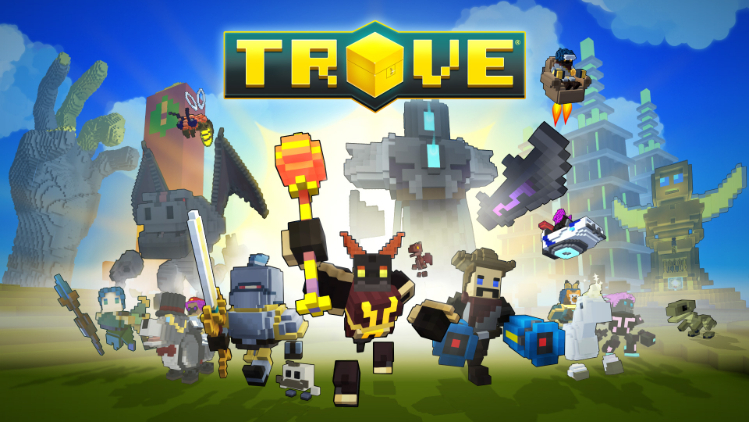 Trove – Trove, Trion Worlds’ recently launched voxel MMO adventure game, has been a big hit amongst fans since it launched July 9. The upcoming Fall update, The Shadow Tower, will introduce an all-new class, the Lunar Lancer and endgame content as the game prepares to launch on Mac. Defiance – The upcoming Defiance patch will introduce a new race of enemies, the acidic Shrill who inhabit Silicon Valley’s arkfalls. Also added will be Supreme Weapons, a new higher tier of rarity which can be applied to all current and future weapons.